Simply being the best is no longer the key to improving your bottom line. Not only is it a somewhat nebulous concept that isn't easily quantifiable, it's become more the status quo than anything else. Everyone selling something claims to be the best. Have you ever seen someone claim to be "second-best" in their marketing? Identifying your unique sales proposition is by far the most effective thing you can do to make your company a success. Creating a memorable image that will grab people's attention and make them feel like they want you to be their best friend goes a lot farther these days than claims at superiority. If your brand doesn't scream, "I'm a unique snowflake" to everyone that sees it, you can do better. You must do better! You owe it to your company to be as unique as you are. So, how do you go about communicating how your company is one of a kind? It's all in the brand! - Saddleback Leather - This company makes leather bags and accessories, and...so do hundreds of other companies. However, Saddleback has distinguished itself by selling "excessively high-quality leather designs" that are overbuilt and backed by a 100-year warranty. Their logo: a thick, letter tag embossed with their name, with obvious stitching and three big rivets at the top. Their tagline: "They'll fight over it when you're dead." Their ideal customer is someone who works hard and wants their bags and accessories to work harder and last longer. - Timbuk2 - Yes, another company that makes bags...but guess what? This one is...wait for it...different! By its' name alone, we know that they are about travel and adventure. If you don't want to wander out into the wild, brave the unknown, or at least have all your stuff clean and dry when you get to wherever you're going, you may not be their target customer. Their current tagline is "Drive the bus" which, let's be honest, doesn't necessarily convey a specific unique sales proposition, but the story behind it is compelling and reinforces their mission: "To inspire urban mobility, enable individuality, & promote responsibility." They do this through their adherence to their values, which include statements like "Be Fearless. Deliver. Be Nimble. Engage. Lighten Up." Timbuk2 is a fantastic example of infusing your company with personality. 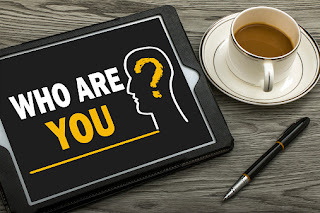 These are three critical factors in identifying your unique sales position. Basically, they were the customers, so it wasn't a big leap to get into their heads and create the experience that would drive consumers to love and buy their products. It's easy to get a little lazy and fall into the trap of "it's good enough for now" and throw something out there, never to be improved upon again. If you love your company, you'll take the time now to make sure your brand conveys exactly what you want it to convey to your ideal client.